Cathy and her family moved to Raleigh in 1987 from their hometown on Long Island, New York and she says it was the "best move ever!" She began her career in New York with TWA and always enjoyed working with people so after relocating here, she realized Real Estate might continue that lifestyle. Happily, she was right! Cathy has enjoyed working with Buyers and Sellers throughout the Triangle ever since. She really prides herself on providing consistent communication and follow-up to keep her clients fully informed throughout the entire process. After 25 years in the local real estate market, Cathy enjoys working with past clients and those referred to her by past clients but still loves the excitement of working with first time Buyers and Sellers as well. "Finding the right home for my Buyers or negotiating the great sale for my Sellers - that's what it's all about," says Cathy. Cathy has seen the Triangle and all of its surrounding communities grow tremendously since making her home here. She's particularly excited about the revitalization and growth of the downtown areas in both Raleigh and Durham. 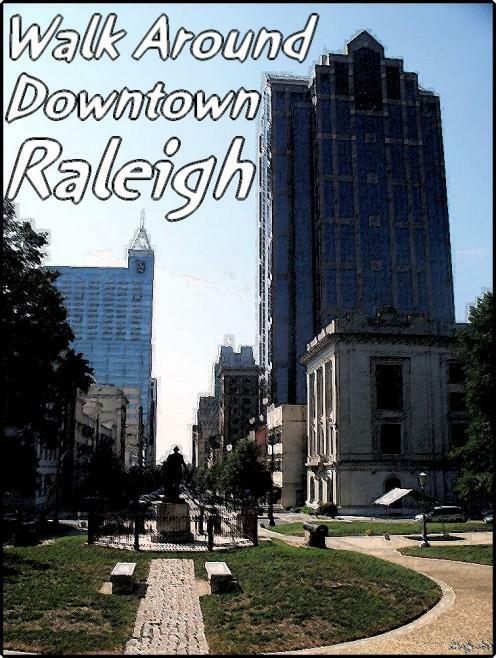 She says, "I used to call Raleigh a 'small' but sophisticated city but I've had to change that to two great Mid-sized and Sophisticated Cities. There's just so much going on here!" In her free time, she enjoys photography, drawing and staying active on the great greenway walking, running and biking trails that are all over the Triangle. The Greatest Compliment I can Receive is Your Referral of Family and Friends. Thank you for your Confidence! My wife and I decided to purchase a new home in order to be closer to where we work and enjoy our time. We happened upon Cathy through our USAA home lending tools, and are so pleased to have met her. Cathy was very knowledgeable and quickly adapted to us as we navigated the home buying process, narrowing down the hunt to a more specific set of needs. We loved how Cathy made a serious effort to take care of us as if we were a part of her own family. It was a pleasure to work with her, and we try to share our experience with anyone we know who is looking to buy or sell. Thank you, again, Cathy Lyons. After the searching and buying process we not only consider Cathy our realtor but also our friend. She hiked across a 5 acre lot, visited multiple listings and walked us through the entire process of buying our home. Our home is our forever home and she understood this throughout the process, even giving us her honest opinion when asked. Cathy was never pushy and was always genuinely supportive. She was a pleasure to work with and always kept our best interests at heart. We can't thank you enough for helping us find, inspect and buy our home! My wife and I had a great experience with Cathy this summer buying our first home. Cathy was responsive and offered excellent insight into the neighborhoods we were looking at. She always looked out for our best interest by ensuring we didn't over offer, and guided us on making smart counters when situations with the bank and home inspection came up. Cathy was able to help my family find our perfect first home within our budget. Cathy has been a family friend for over 25 years and has helped us buy and sell over the years. I was getting a divorce and I needed to sell our house. In January 2017, Cathy did a walk through of our house and gave great advice on what I would need to work on to get my house ready to sell. I gave Cathy a call a year later and said I was ready to sell, Cathy gave me awesome advice about whether to stage or not, curtains/blinds, flooring, and painting. After, completing the last of the items that I had talked with Cathy about, she came over, took pictures, placed the pictures online that afternoon. We had the first showing that very afternoon!! We got an offer on our house the next day! Cathy made this process so much easier that I could have ever imagined. Cathy allowed us to do a lot of the paper work on line and she even went to closing for me a month later. Cathy is not only a real estate agent, but is someone who truly cares about helping you find your perfect home and makes selling your home seem like her top priority. She will give you great feedback on what to do to sell your home and with be there for you to give encouragement and advice when buying a home. I have recommended Cathy Lyons and I will continue to do so to friends and family!! Miss Cathy was referred to me by USAA and as usual, they didn't disappoint. Instantly, she and I hit it off. She was very prompt, knowledgeable, professional and thorough throughout the process. Aside from her duties as a Realtor, we managed to forge a long lasting friendship; she's practically family in my book. She helped me pick out the perfect home for my family and I. I would definitely recommend her to friends and family in the area with assisting in the home buying process! We first met Cathy through a corporate relocation, and felt we hit the jackpot! She was very patient as we navigated a new city and really listened to our wishes for the house. After living there for 11 years, we decided to move to the country and called Cathy. The city girl put her boots on, and walked farmland with us until we found the perfect parcel. The negotiations were difficult, but Cathy got us through with her amazing patience. We then listed our Raleigh home with Cathy, and got a great price in a reasonable amount of time. Highly recommend Cathy to anyone looking to buy/ sell! Cathy is an excellent realtor. She helped us find the perfect home, and never gave up showing us many options. Both physically and online narrowing down selections. She didn’t want us to settle , and kept looking until we found exactly what we wanted. Cathy Lyons is the absolute best agent ever! After describing to Cathy what I did and didn't want in a home in the Raleigh area, she was perfect in providing me options to review and look at. I was coming from San Antonio, Texas and she spent countless hours driving me all over the RTP area to help me get a lay of the land. Once I narrowed down my search area, Cathy was great in sending me frequent updates - I talked to Cathy more than my own mother during my house hunting process!! Once I found "the" house, Cathy quickly got everything rolling, she was quick to push back with the seller when needed, but also kept my expectations realistic, which I appreciated. Cathy even drove my future neighborhood and talked to folks who were randomly outside, with me on her bluetooth, to ask their opinion about the neighborhood! I could not have asked for anyone better, and Cathy went above and beyond at every turn. I'm truly grateful for Cathy, not just for all the work she did in helping me find a home, but also because she cares about her clients and wants the best for them as people. Cathy was recommended to me by a friend who moved to the area several months before I showed up in town. My goal was to find a home quickly before things got busy with my new job. Cathy did an outstanding job making that happen. We looked at many homes over a short period of time trying to find the right fit. Cathy was always honest with her opinion, quick to scheduling showings, very easy to communicate with, and showed great patience while I looked at multiple homes over several days. Her knowledge of the local area was extremely helpful to someone new in town and helped us find a beautiful 3 bed, 3 bath home with a loft in the perfect location. I couldn't be happier with how this home buying experience turned out and have Cathy to thank for that. We moved from NY to NC in 2016. Cathy spent A LOT of time with us in May 2016 when we came down for a week. We didn't know much about the different areas, just knew we wanted to be within a good drive from my RTP office. Actually, this was a redo of our almost move in 2011. We came down for 4-5 days, spent most of them with Cathy and didn't end up moving at that time. We loved her so much, we had to call her when we decided it was time to move. We were lucky enough to have someone recommend Cathy to us. We literally looked at over 30 houses with her, in a bunch of different towns. When we weren't with Cathy, we were emailing or talking about different houses and areas, and she was extremely responsive. The extensive knowledge Cathy has about the many different towns in Wake County was a huge help to us. That knowledge is one of the biggest reasons we wanted to work with Cathy. Another reason is her personality. She was so nice to us, and our young daughter. In 2011, our daughter was 2 years old, driving all over Wake County. Cathy even let us change her diaper in her vehicle. When we found our home to purchase, Cathy helped us every step of the way. We even hit a few bumps in the road, and she made it all very easy for us. She knew exactly how to handle every situation, even when dealing with builders. From May through close in December 2016, Cathy made sure everything went smooth. I would absolutely recommend Cathy to anyone ready to buy or sell a home in the area. If we ever make another move, Cathy is our first and only call! Cathy was referred to us by a coworker and our relocation company and we are very thankful. She is an exceptional agent. Cathy is very professional, attentive to every detail and very easy and fun to work with. We recently purchased a home in Raleigh after a very long and sometimes complicated relocation. Cathy "stuck with us" and was always present to guide/maneuver through every situation. Cathy's knowledge of the area and market are superb. She is an excellent listener and was able to translate that into finding the perfect community for us. She provides constant support and did a tremendous amount of "leg work" for us when we were out of state. Cathy was very conscious of future resale value during our search. Her advice in this area saved us from making several wrong choices. We viewed dozens of homes during our process and Cathy was so patient. We never felt pressured-quite the contrary-Cathy always made us feel as though we were her number one priority. In the end Cathy's negotiation skills were excellent and she coordinated all our appraisals, inspections and other services. Cathy goes way above and beyond to be an advocate for her buyers. We have bought and sold a number of homes over the years and without a doubt Cathy is the best agent we have every used. We moved to Raleigh a month ago, chasing grand kids. Cathy was recommended to us by our daughter who had moved to Raleigh six months before us. My daughter had the highest praise for Cathy and our own experience working with Cathy fully confirmed my daughter's experience. Cathy's experience and knowledge of the Raleigh area and neighborhoods was instrumental in narrowing down our search helping us to find the perfect house. In addition to her professionalism, Cathy's easy nature, patience and helpfulness served to ease the stress that comes with the tough life decisions that go with moving to a new area and buying a home. Based on our personal experience we can recommend Cathy without reservation to any home buyer. Cathy came highly recommended by my bank when I moved to the Triangle from out-of-state. She provided excellent service and support throughout my home buying experience, from start to finish. Her focus on understanding my needs and expertise in navigating the details of new construction home purchase made for a smooth and successful transaction. I am so grateful that my bank introduced me to Cathy - and I wholeheartedly recommend her to anyone looking for a seasoned, outstanding real estate agent! Extremely professional and fun to work with. We are relocating to NC, and she has helped to make the transition a lot smoother. Within a week of me contacting the relocation company, Cathy had a whole packet to our house about the area. She has been great to work with and we would highly recommend her. Years ago, Cathy helped me find my first townhome. When my husband and I were ready to upgrade into a single family home last year, she was there the help me sell that townhome to the first people who viewed it. Then, my husband and I were able to find a new home a new home - and, while the process of purchasing was actually more complicated than we anticipated - Cathy was there to support us, offer advice and professional guidance, and kept a smile on our faces. I would highly recommend working with Cathy Lyons if you need to buy or sell a home. Cathy Helped us with the whole process of building our home. We were living in NY and building in NC. She was our eyes and ears during the process. We recommend her highly. She was very helpful and informative. I appreciated her honesty and inside information to the different areas we looked at homes. She is a very nice lady and would come highly recommended by husband and I. This is my 3rd home with Cathy and that pretty much says it all. There are a lot of realtors out there, but none as patient or hard working as Cathy. The thing I like most about Cathy is she understands and listens. My first home was almost a 1 year search and during that time I didn't want a pushy realtor constantly contacting me. Instead we went shopping, Cathy listened to what I wanted and then contacted me only when a home met my requirements and she thought it was worth my time. She did all of the homework for me. When it came to selling our home, she brought me 2 bids within 1 week of listing the house! And I'll work with Cathy again.